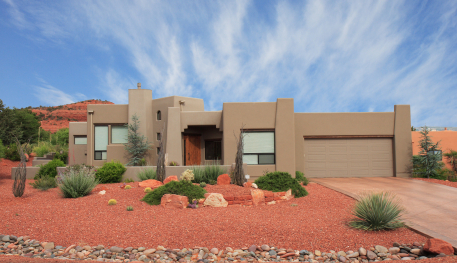 Residential Property Management | Tucson Realty & Trust Co. Management Services, L.L.C. Tucson Realty & Trust Co. Management Services, L.L.C. offers Tucson and Southern Arizona expert, full service property management of single family homes, apartment communities, commercial spaces and homeowner associations. At Tucson Realty & Trust Co. Management Services, we pride ourselves in combining extensive real estate and management experience with local knowledge and professional partnerships. We have been widely recognized as one of the foremost providers of excellent management services for both home owners and commercial property owners alike. An initial inspection of the property to determine a fair market rental rate and recommend any improvements that might be needed to ensure the best marketability of the property. A marketing plan is implemented with care to utilize the most effective and efficient methods of procuring a qualified renter. Prospective tenants agree to apply to rent our managed properties. Application processing includes conducting credit checks, verifying employment and income, contacting current and previous landlords and running a criminal background check. Prepare all required documents, including lease agreements and pertinent addendums to the contract. During the tenancy we oversee any required maintenance, conduct lease renewal inspections, collect the rent and provide detailed monthly accounting. Serve legal notice, initiate and supervise evictions due to nonpayment of rent or other violations of the lease. Provide prompt and courteous communication regarding the property to all parties involved. Alleviate the hassle and rest easy knowing that your property is in good hands. From marketing to lease renewal to resolving maintenance issues, our process takes the stress out of the tenant/owner relationship! If you are thinking about renting your property or are considering switching management firms, we invite you to contact us today to learn more about how our proven system can work for you! Everything from marketing to maintenance requests, legal issues, monthly reporting and end of year tax reports, we manage every aspect of your home at competitive rate. We will do a comprehensive assessment with you to determine the right rental rate for your property, potential improvements to get a better return on your investment and walk you through our process to get your property rented to the most qualified people. If you are looking for a great place to live or experienced help managing your rental property call today at (520) 327-0009 or use this form to email us below with basic information and we will get back to you shortly.